I suspect I was far from the only Liberal Democrat who had a stiff drink pre-arranged for 11pm last night , to drown my sorrows if the UK did crash out of the European Union. The notice of a reprieve was quite short, but for Remainers the threat still hangs over us, like the sword of Damocles. As Article 50 moves into extra time, the EU has made clear that it is serious that 12 April is the next deadline, just two weeks away, when a No Deal scenario will snap into effect as the default option unless the British government manages to produce a rabbit out of the hat. Alas, our zombie Prime Minister, Theresa May, is incapable of such magic. Indeed, she has already paraded her dead parrot of a Withdrawal Agreement three times to no effect, yesterday afternoon serving it up without the accompanying political declaration. It was still defeated by nearly 60 votes, Nigel Dodds of the DUP declaring that his party would rather stay in the EU than agree to it. The House of Commons vote was live-streamed to a packed The UK in a Changing Europe conference on “Article50: Two Years On” at the Queen Elizabeth Conference Centre opposite Parliament, prompting a big cheer from most of those present. But have we in fact now been granted anything more than another fortnight to enjoy the EU sun? Or are we heading for a new referendum at some stage, when, as polling guru Sir John Curtice told the conference, voters have polarised to two extreme alternatives: No Deal or Remain? London may be the smallest English region geographically, but in LibDem terms it is top of the league, with around 20,000 members, many of whom joined following the 2016 EU Referendum and subsequent general election. Small wonder, then, that Brexit will figure large at the London LibDems’ regional conference tomorrow . Tom Brake, MP for Carshalton & Wallington and the Party’s national Brexit spokesperson, will be leading a session on the impact of Brexit on the city, chaired by former MEP Baroness Ludford. And in one of a number of fringe meetings, sponsored by the Alliance of European Liberals and Democrats (ALDE), Arthur Griffin, Vice President of our Irish sister party, Fianna Faíl, will give a presentation on Winning That First Preference Vote. LibDem Leader, Sir Vince Cable (MP for Twickenham) will provide the opening keynote address in the impressive surroundings of Canary Wharf, whose CEO, Sir George Iacobescu, will give a welcoming speech, alongside one of the party’s newest recruits, Tower Hamlets Councillor Rabina Khan. Tower Hamlets is something of a success story in increasing diversity within the Party and given the fact that one in three Londoners were not even born in the UK, diversity is a key preoccupation of London Liberal Democrats. This is splendidly reflected in the team that has just been selected by the membership to fight the 2020 London Mayoral and GLA elections. Invitations have gone out to approved parliamentary candidates to stand in the Witney constituency by-election, caused by David Cameron’s sudden resignation from Parliament. It’s important the selection goes ahead quickly and the very best person is appointed as this is a contest we should fight with maximum resources, energy and determination. There is no time to lose as rumour has it that the by-election may be called for 20 October. Although the Liberal Democrat vote fell back sharply in 2015 (as in so much of the rest of the country), the party’s candidates (respectively Dawn Barnes and Liz Leffman) came second in both 2010 and 2005. Yes, a distant second, but just consider the extraordinary circumstances in which this by-election is being held. Cameron unintentionally landed Britain in its current Brexit mess and the terrible trio that Theresa May has put in charge of “delivering Brexit” haven’t a clue what it means in practice, how it will be done or when. The Conservatives like to say they are competent, but this is incompetence on a colossal scale. As for Labour, next week Jeremy Corbyn will almost certainly be re-elected leader of the party, despite the fact that he does not enjoy the confidence of the vast majority of his MPs and Labour is riven by internecine warfare. Not exactly in a position to make a big leap forward in Witney. Indeed, if the recent Sheffield council by-election is anything to go by, quite the opposite. Liberal Democrats campaigning hard to keep the United Kingdom in the European Union can perhaps take heart from the fact that the European Liberal family, as represented by the Alliance of Liberals and Democrats for Europe (ALDE Party), continues to attract new member parties, showing that European and Liberal Democrat messages still resonate on the Continent. At the ALDE Council meeting in Vilnius, Lithuania, the other day, hosted by the city’s Liberal Mayor,Remigijus Šimašius, no fewer than four newbies were welcomed into the fold: three as full members and one as an associate member (a stepping stone to full membership). For the first time ever, Liberal International has held its Executive Committee in the Georgian capital, Tbilisi, at the invitation of the Republican Party of Georgia. Regional and global security were at the top of the agenda, with a strong presentation by Georgia’s Defence Minister, Tinatin ‘Tina’ Khidasheli on the challenges facing former Soviet republics now finding themselves on the periphery of an expansionist Russia. To drive the point home, we participants were all bussed out of the city to the ‘occupation line’, which marks the current limit of Russian encroachment into Georgian territory just south of South Ossetia (which the Russians have already effectively annexed, as they did with Ukraine’s Crimea). Just days before, the Russians had rolled a giant barbed wire fence further into Georgian territory, leaving some Georgian farmers cut off from their land and families divided. Tens of thousands of Georgians have already fled South Ossetia and have been resettled or temporarily rehoused. Last week’s elections in England overall were rather encouraging, with a modest but heartening rise in the number of councillors and the gain of Watford Council. But one relative black spot, in which the Liberal Democrat decline of recent years continued unabated, was London, where Mayoral candidate Caroline Pidgeon polled less than five per cent in first preferences – a third of the average vote in the country. That is no reflection on the quality of Caroline as a candidate. No-one could have worked harder and many non-LibDems said they thought she performed the best among all candidates at hustings. After eight years on the London Assembly, she really knew her stuff, and she had some attractive specific policies, such as a one-hour bus ticket and continuing the Olympics precept but channelling it towards the building of affordable homes. Nonetheless, Caroline is now the sole LibDem member of the Assembly (out of 25). Once we had five. This is all the more disappointing when one considers that London did particularly well out of the post-May 2015 surge in members and that London Liberal Democrats fielded the most diverse and talented list of Assembly candidates ever. They really looked like our multicultural city and most of them worked their socks off. So what went wrong? By-elections caused by the death of the incumbent are always an occasion for sadness, so our first reaction to the passing of Michael Meacher, Labour MP for Oldham West and Royton, must be a sincere expression of sympathy to his family and friends. However, politics is politics, as Michael would have said himself, and therefore we have to face the fact that there will be a by-election before too long. Even if we should not campaign until after the funeral, that does not mean we should avoid thinking about the challenge ahead. During the Coalition government the Liberal Democrat powers that be took what I believed to be a misguided decision to virtually ignore northern parliamentary by-elections, with predictably disastrous results. In a couple of cases there was, however, a tremendous surge towards UKIP, almost causing shock Labour defeats. We lost our deposits spectacularly, despite the hard efforts of by-election candidates and mainly local party support. The impression given to the wider public, however, was that in the North of England the LibDems are rubbish, even irrelevant. We must not allow that to happen again. The fireworks over the Thames that signalled the New Year in London symbolically coincided with a handover of the chairmanship of London Liberal Democrats, as I ended my three years at the helm and Mike Tuffrey – until last May a leading Member of the London Assembly – took over. My time in office was quite a roller-coaster, from the inflated national euphoria of Cleggmania just before the 2010 general election – when in the event we managed to hold on to seven parliamentary seats, but alas lost Richmond Park – to the frankly dire city-wide vote we received in the London Mayoral and GLA elections last May. At least we managed to return Caroline Pidgeon (rightly recognised in the New Year honours) and Stephen Knight to the Assembly. 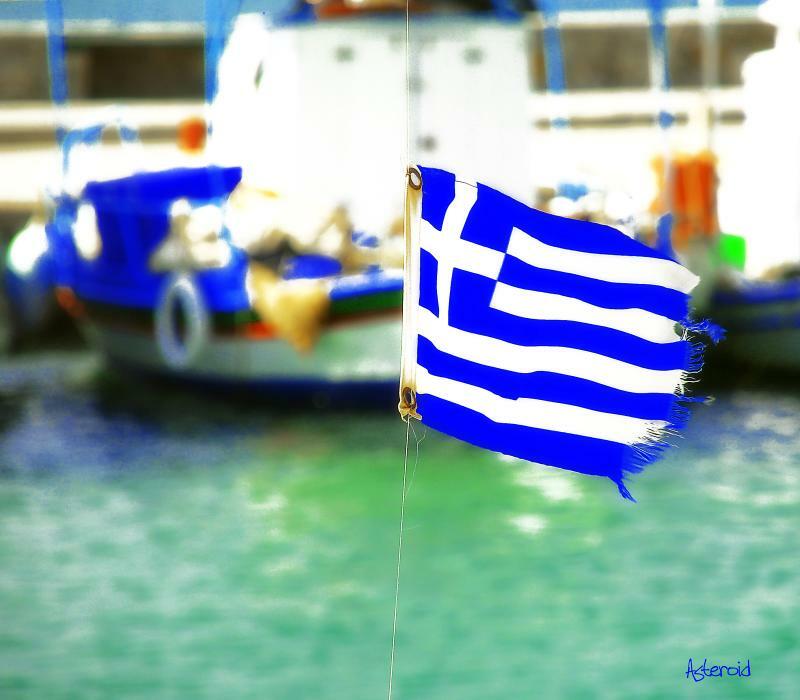 Greece – a victory for all Europe? Hardly had the first exit polls in Greece’s latest general election appeared last night than the euro rose on currency markets and shares in Asia rallied. As far as financiers around the world were concerned, Greek voters had got it right. The conservative New Democracy party had come out in front, albeit by a narrow margin. And the threat of a Greek exit from the eurozone, with possibly dire consequences for the world economy, had been averted, at least for the time being. Applications are now invited from potential LibDem Mayoral and Assembly (GLA) list candidates for London, which will hold its next round of city-wide elections in 2012. Interested individuals can request an application pack from the Returning Office, Patrick Mitchell, at [email protected] or 6 Palfrey Place, London SW8 1PA. Completed applications must be received by 24 September. Like many former Liberals of a certain vintage, I was wooed to the cause of electoral reform by the diminutive but formidable figure of Enid Lakeman, who even at an advanced age could spear opponents with her logic and conviction. I wish she were around today to add her appraisal of whether Gordon Brown’s referendum on AV is a step forwards or a step backwards in the long march to Fair Votes. With the world’s attention focussed (rightly) on Gaza, the ongoing tragedy of Burma/Myanmar remains almost unseen. Just as the Israelis are keeping foreign journalists out of Gaza, so the Burmese junta stops reporters getting in there to see what is happening. Moreover, now that last year’s cyclone has been forgotten by the outside world and the monks’ protests have been quashed, Burma just isn’t ‘news’ as far as the global media is concerned, with a few noble exceptions such as the BBC World Service. Nonetheless, the bloody repression there continues, including the torture of political prisoners. On 30 December, nine members of the National League for Democracy (NLD) were arrested in Rangoon (Yangon) for demonstrating in favour of the release from house arrest of their leader, Aung San Suu Kyi. Suu Kyi (who was awarded the Nobel Peace Prize in 1991) has spent more than 12 of the past 18 years in detention, her ‘crime’ being that her party won Burma’s last democratic election in 1990 – a result which the junta simply refused to accept. Yes, we have no (straight) bananas! Has the European Commission being telling porkies about Euro-myths? The small percentage of LibDem Voice readers who avidly devour the Daily Mail and saw the recent piece by Edward Heathcoat-Amory dramatically headlined ‘Here’s proof Brussels has been sprouting lies about wonky vegetables for years!’ are not the only people who may think so. And truth to tell, what should have been a good news story from the EU has turned into something of a public relations disaster. Logically, the European elections – due to take place on 4 June next year – should be about European issues. But in Britain, at least, they never have been. Shamefully, even the Liberal Democrats, as the only consistently pro-European party in this country, has accepted the received wisdom that Europe is the love that dare not speak its name. The sun shines on London Pride, as fellow London Euro-candidates Dinti Batstone, Christopher Le Breton, John Pindar and I march with members of the LibDem LGBT campaigning group, DELGA. They have arranged a stall right in front of the National Gallery in Trafalgar Square. While Nick Clegg addresses the rally there, our Euro-team hands out special focuses, highlighting Sarah Ludford MEP’s call for the US to end its entry ban on people living with HIV/AIDS. I’ve vowed I won’t set foot in the States again until that iniquitous prohibition is lifted. By the end of the afternoon, the boys and girls miling around are in the mood for some serious partying, but I am sensible and head off to Eltham for the Greenwich LibDems’ summer barbeque. Keeping in touch with local parties and reminding them about Europe is a high priority.